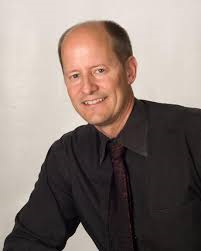 You are currently browsing the archives for the Paul Gazelka category. The DFL’s anti-tax cut argument amounts to this: Spending increases, especially to K-12 education, always takes precedent over cutting taxes. 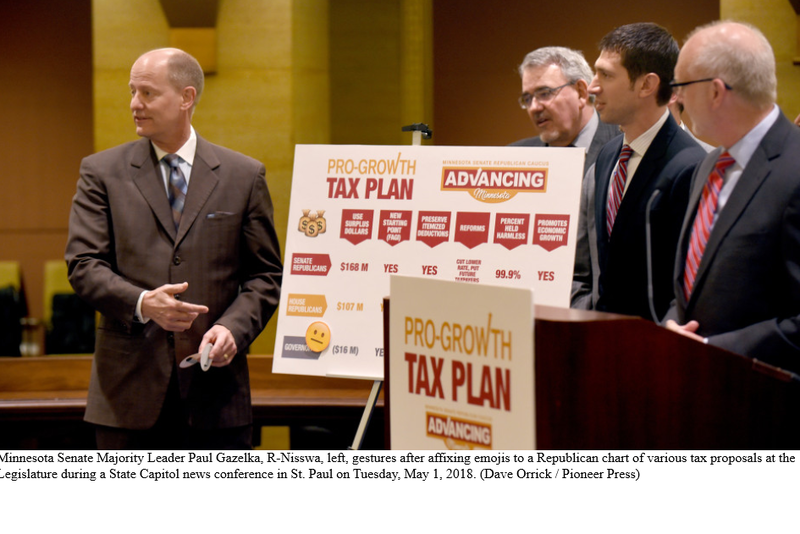 In the DFL’s mind, there’s never a time when tax cuts are justified. That’s perfectly understandable considering who the DFL’s special interest allies are. Sitting atop their list are the environmental activists and Education Minnesota. Now that House and Senate Republicans have reconciled their tax cut/conformity bills, it’ll be interesting to see how Gov. Dayton will rationalize his veto of another set of tax cuts. While it’s true that Gov. Dayton signed tax cut legislation last year, it’s also true that Gov. Dayton defunded the legislature after he signed the tax cut legislation. Further, Gov. Dayton fought those tax cuts tooth-and-nail but was forced to sign it. He was heading towards shutting government down again so, rather than shutting it down like Gov. Dayton and the DFL did in 2011, Gov. Dayton signed the tax cuts, then line-item-vetoed out the legislature’s operations budget. Let’s not forget that Gov. Dayton reneged on the previous year’s tax cuts after promising to sign those cuts. The House and Senate deal lowers the state’s first tax bracket from 5.35 percent to 5.25 percent. The change affects a single filer’s earnings below $25,890 and a couple’s below $37,850. The second tax bracket rate drops from 7.05 percent to 6.85 percent. This decrease affects a single filer’s income between $25,891 and $85,060 and a couple’s between $37,851 and $150,380. The rate reductions would take place over two fiscal years, so the lower rates would be in place by 2020. The changes would cost $137 million this year and $341 million by 2020. Here’s a fearless prediction: the DFL will criticize the House-Senate GOP tax cuts as tax breaks for big corporations. What the legislation says is irrelevant to the DFL. What’s important to the DFL is that they’ve rehearsed their lines properly. If Gov. Dayton vetoes the GOP tax cuts/conformity bill, the DFL will have to justify to voters why they voted unanimously against the bill. PS- I suspect Gov. Dayton will veto the bill, though I also think he’ll try negotiating a smaller tax cut. If Republicans push him on this, they’ll win the policy fight and gain a big issue for the campaign. Bakst continued, saying “If [the] high court invalidates the line-item vetoes, it would cause funding to spring back. If [the] justices uphold the vetoes, it will push the Legislature toward a financial crisis.” That’s true but more than that, if the Supreme Court sides with Gov. Dayton, it will have reversed itself. 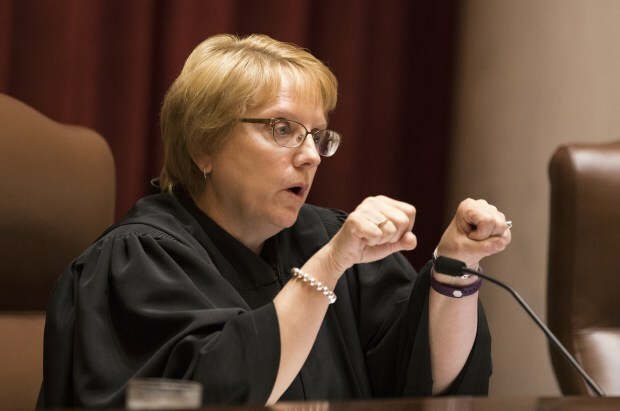 The Minnesota Supreme Court, whether it realizes it or not, is on trial here. If they rule that the legislature must spend down the money appropriated to the Legislative Coordinating Commission, aka the LCC, they will be violating multiple Minnesota statutes. First, part of the money appropriated to the LCC pays for the operations of the Office of Legislative Auditor, aka OLA. In this post, I wrote “Legislative Auditor Jim Nobles has already expressed concerns about certain functions of his office being suspended – specifically the certification of state financial reports that support the state’s credit rating and the receipt of federal funds.” It’s inconceivable to me that the Supreme Court would rule against funding the OLA simply for those reasons. I don’t doubt that the DFL operatives in black robes want to justify siding with Gov. Dayton. It’s just that I can’t imagine them saying in their preliminary ruling that you can’t use part of the state constitution to achieve an unconstitutional result. Saying that a governor has the right to temporarily disable the part of the government that represents the people is incomprehensible. Check in with LFR Thursday for the Supreme Court’s final ruling in this important case. Something jumped out at me while reading this article. Specifically, I’m upset with Melissa Hortman after she said “I think that Senator Gazelka should work with Democrats like Governor Dayton and me and Senator Bakk to solve a problem rather than using people as pawns in a political dispute.” Actually, Gov. Dayton is the problem. If he hadn’t negotiated in bad faith, this wouldn’t have happened. In fact, he negotiated in bad faith twice, once when he said he’d sign the Republicans’ tax relief plan 2 years ago. He negotiated in bad faith this year when he signed the tax relief bill, then line-item vetoed the funding for the legislature. Gov. Dayton’s holding the people of Minnesota hostage because he wants to renegotiate legislation he’s already signed. Giving a governor that type of authority is unforgiveable. With that authority, governors could hold the legislature hostage every budget session. Is the Supreme Court willing to give the executive branch that authority over the legislative branch? If they’re willing to do that, then the Supreme Court is corrupt. They’re willing to give one branch of government the upper hand in budget negotiations. It isn’t difficult to envision a governor holding the legislature hostage if the legislature doesn’t give him what he wants. Here’s what I’d tell Rep. Hortman. Rather than defending people in the DFL, she should defend the people of Minnesota. Thus far, she’s defended the DFL. She hasn’t defended Minnesotans. The office of the Legislative Auditor is funded through the LCC. 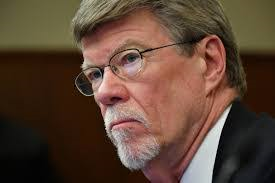 Legislative Auditor Jim Nobles has already expressed concerns about certain functions of his office being suspended – specifically the certification of state financial reports that support the state’s credit rating and the receipt of federal funds. Thanks to Gov. Dayton’s line-item veto, the office that certifies Minnesota’s financial reports that keep our credit rating healthy is getting its funding stripped. The Revisor of Statutes Office is essential to Minnesota’s rule-making and legislation writing processes. What is Gov. Dayton thinking when he’s stripping funding from these essential offices? Was Gov. Dayton thinking when he forced the stripping of these funds? Anyone that’s willing to shortchange these offices just so he can renegotiate a bill that he’s already signed is disgusting. Gov. Dayton isn’t a man of integrity. He’s a man who thinks that the ends justify the means. How pathetic. Gentlemen, I’m proud of you for standing your ground in this fight against Gov. Dayton. Don’t renegotiate the tax bill that Gov. Dayton signed. Instead, tell Gov. Dayton that you’ll broadcast the fact that Gov. Dayton and the DFL didn’t put a high priority on serving their constituents. Instead of renegotiating the tax bill, the House should immediately submit a clean funding bill that funds the legislature for the rest of the biennium. Pass it ASAP, then send it to the Senate. If Gov. Dayton vetoes the clean funding bill, I’d schedule an override vote immediately. If the House or Senate votes to sustain Gov. Dayton’s veto, tell each outstate DFL legislator that voted to sustain Gov. Dayton’s veto that they’d better prepare for the onslaught of advertising that’s heading their direction. Tell these DFL legislators that their constituents will hear that they voted against the GOP tax relief package for farmers, small businesses and the middle class. Tell these DFL legislators that their constituents will hear about their votes to keep the legislature shut down, too. Let them know that voting with Gov. Dayton will come at a political price. Gentlemen, tell the DFL that listening to their special interest allies will cost them bigtime this election cycle. Gov. Dayton told Tom Hauser that he wants to drag you back to the negotiating table because he’s worried that the government might run a deficit. Like you, I’ve paid attention to Gov. Dayton’s message from the start of his administration until his lame-duck year. Not once has Gov. Dayton or his DFL allies said a thing about being worried that families have enough to put a roof over their head, save for retirement or for their children’s college education or help meet their bills. Thanks for standing tall. Thanks for not letting Gov. Dayton’s special interest allies bully you. Keep up the good work. If there’s anything that comes through in Paul Gazelka’s op-ed, it’s that Senate Majority Leader Paul Gazelka won’t hesitate in questioning Gov. Dayton’s statements. What I’ve repeatedly and consistently said on LFR is that, ultimately, the Supreme Court needs to resolve this constitutional balancing act. They’ve already ruled that the line-item veto is constitutional. They’ve also ruled that governors can’t use a constitutional tool to achieve an unconstitutional result. Finally, they ruled that the people of Minnesota have the right to 3 fully functioning branches of government. There’s only one ruling that would satisfy each of those parts of the Supreme Court’s ruling. If they want to satisfy their statements, they have to rule that Gov. Dayton improperly used a constitutional tool. By voiding Gov. Dayton’s line-item veto, they’d allow the entire bill to pass. After all, Gov. Dayton approved the rest of the bill. I’m disappointed in the governor’s tone and accusations that we were dishonest. I’m frustrated that, unlike any other governor in Minnesota’s history, Gov. Dayton wiped out funding for the legislative branch, and I’m disheartened that I even have to defend my team in the public arena. But it’s important for the public to know the governor’s public comments on this matter are not accurate. Sen. Gazelka, lots of Democrats likely agree that Gov. Dayton overstepped his bounds. They just can’t say that publicly. In this fight, Gov. Dayton hasn’t been 100% honest. It’s a shame he wasn’t. I said at the time of the Supreme Court’s ruling that Gov. Dayton’s actions weren’t in good faith. I’ve always been able to say that Sen. Gazelka’s actions have been in good faith. When Paul Gazelka stepped to the podium at Friday’s press conference, one of the first things Sen. Gazelka said was “both mediation and why we sued was because the governor can’t defund the House and the Senate. That’s the issue. The issue isn’t how far we can run. We have a 2-year budget that we have to fund that we have to fund all the way to July, 2019.” I hadn’t seen this press conference but I’m happy that I’m on the same wavelength as Sen. Gazelka. I wrote about that identical principle earlier this week. Another thing that caught my attention happened when Sen. Gazelka said “We went back in our notes and found that the governor absolutely said that he’d support the tax bill as is on the Saturday before the end. It would have been a shock had he not signed that bill.” Let’s examine that a minute. In 2011, GOP legislative leaders met with Gov. Dayton on June 30 to make a final attempt at reaching a budget deal before the midnight end of the biennium. When Gov. Dayton agreed to a budget deal that didn’t include tax increases, legislative leaders went back to their caucuses to tell them that they’d hammered out a deal that didn’t include tax increases. When Speaker Zellers and Senate Majority Leader Amy Koch returned to Gov. Dayton’s office, Gov. Dayton told GOP leadership that he’d rejected the deal that he’d initially signed off on. After a 2-week shutdown, Gov. Dayton agreed to the budget that the GOP leadership had proposed on June 30. When he finally accepted the deal, Gov. Dayton admitted that he didn’t realize Republicans had stripped out the controversial language from their proposal. This year, Gov. Dayton signed off on the GOP Tax Relief Bill. Now he wants the GOP to renegotiate their tax relief bill in exchange for him signing a bill funding legislative operations. Sound familiar? If you answered yes, it’s because Gov. Dayton has shown a habit of reneging on deals that he’s initially signed off on. I’d recommend watching Gov. Dayton’s’ press conference, too. Watch the difference between Gov. Dayton’s attitude and GOP leadership’s attitude. Gov. Dayton looked peevish and petulant. 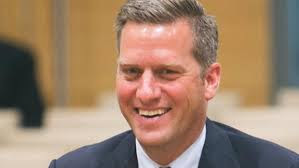 Speaker Daudt and Sen. Gazelka looked like adults. Like in other years, GOP leadership will be waiting to pass a bill to restore funding for the legislature when the legislature opens in February. It’s still debatable whether Gov. Dayton will sign that bill. If Gov. Dayton vetoes it, Speaker Daudt should immediately schedule an override vote. Let’s see if DFL legislators would vote to not fund themselves. If they stick with Gov. Dayton, rural DFL legislators should expect to be tied to Gov. Dayton. They should also start writing their concession speeches or their retirement speeches. If the DFL sides with Gov. Dayton, it will be proof that they’re Democrats first and that representing their constituents ranks way down their list of priorities.